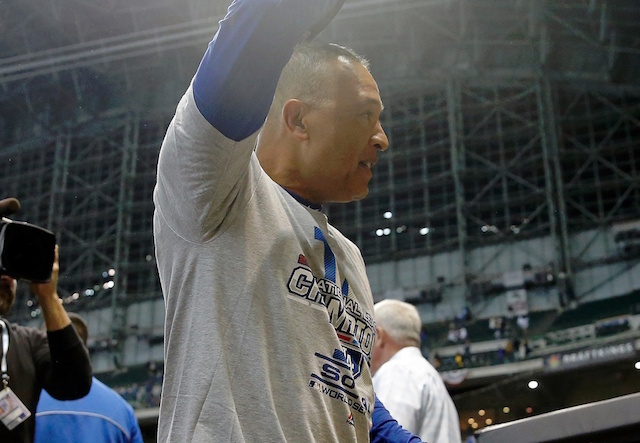 There isn’t a person in a position of power with the Los Angeles Dodgers who has been immune to criticism — but perhaps no one more so than manager Dave Roberts. While the front office has opted for less-than-conventional approaches to lineups, defensive positioning, bullpens, etc., it’s Roberts who ends up being the face of such decisions. Game 7 of the National League Championship Series was no different. With every pitch over-scrutinized, you can imagine the pressure than Roberts and Milwaukee Brewers manager Craig Counsel felt with every pinch-hitting opportunity and pitching change. But on Saturday, Roberts got almost every one of those decisions right and because of it, the Dodgers are headed to their second-straight World Series. Ahead of Game 1 against the Boston Red Sox, let’s look back at all that Roberts did (or didn’t do). This was Roberts’ first big decision of Game 7 against the Brewers. And, not an unsurprising one given how things played out so far in the series. Unfortunately (fortunately?) it was also the worst one he made all night. Obviously it’s easy to look back on a move like this and second guess, but Hernandez finished 1-for-4 with three strikeouts and left four on base (including a strikeout with one out and the bases loaded in the ninth). Hernandez came into the game 0-for-his-last-10 with five strikeouts, so while Roberts loved the platoon splits, this one didn’t work out as planned. To be fair, Pederson was 1-for-his-last-10 with four strikeouts at the time of the decision. Good news? It didn’t matter. Oh, and it’s worth noting: Hernandez’s entrance into the game moved Chris Taylor into left field, where he made a spectacular catch. So it can be reasoned the change did pay off in some regard. Buehler got out of a jam in the second inning (runners at first and second, two outs) and third (lead-off single to Lorenzo Cain with the heart of the order looming) and then started out the fourth by giving up a double to Travis Shaw. 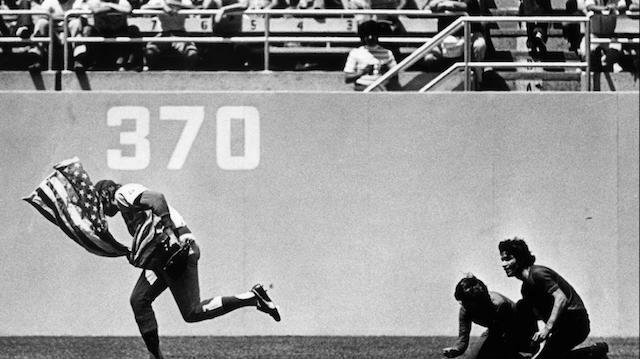 A lesser manager may have panicked here and reached for a quick hook, but Roberts never wavered. 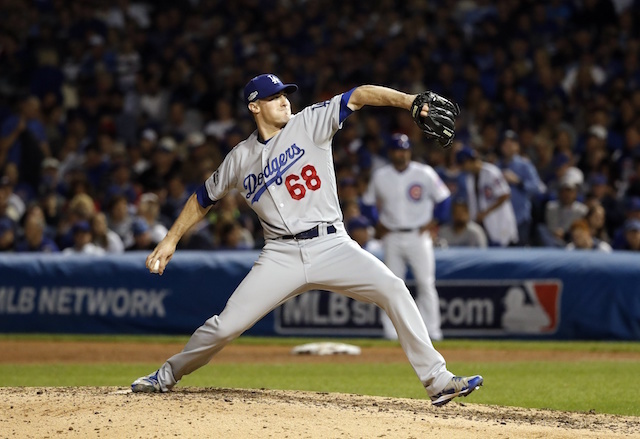 The belief was rewarded when Buehler got a strikeout, flyout, strikeout to end the inning. In the next inning, Buehler was due up with a runner at first and one out (and Josh Hader on the mound). Once again, Roberts left Buehler in and he executed a perfect sacrifice bunt. After getting the first two hitters out in the bottom of the inning, he gave up a double to Cain before finally being pulled for Julio Urias (who got bailed out by Taylor’s unbelievable catch). The Dodgers only used four relievers in Game 7 (and one was Clayton Kershaw), but it’s crazy to think that it was Urias who found his name included in that list. With other, more-proven, lefty relievers in the bullpen, Roberts went to Urias to face Christian Yelich in a one-run game in the bottom of the fifth. After getting ahead 0-2, Urias made a mistake against Yelich, who drove the ball to the warning track in left-center field before Taylor saved the season and got Urias out of a jam. End result? No harm, no foul. Seeing Madson come out of the bullpen for the sixth inning wasn’t surprising, but it was his appearance in the seventh that really deserves some credit. To me, this was Roberts’ best move of the night. Madson breezed through the 3-4-5 hitters of the Milwaukee lineup before his spot was due to lead off in the top half of the seventh. Now nursing a four-run lead, Roberts left Madson in to hit (more like “stand up there with a bat”) — basically sacrificing an out at the plate in exchange for keeping an excellent reliever out there. The move made sense given the circumstances, and it nearly worked out perfectly. Madson came out in the bottom half of the inning and got two quick outs before Orlando Arcia singled to right field, which led to the next major decision. 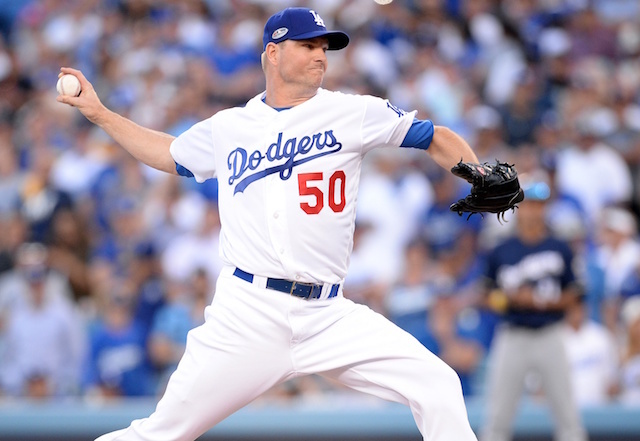 With the Dodgers up four runs, I was a bit surprised Madson had such a short leash, but again, given how it all played out, it’s hard to argue. While unconventional to bring a closer in so early, the move made perfect sense given the Brewers’ lineup. With Curtis Granderson pinch-hitting for the pitcher, Roberts knew that he needed Jansen to neutralize the middle of the order had Granderson reached. Just as he hoped, Jansen was dominant for four easy outs. So dominant that you’d have to assume he would have come back out for the ninth if not for how everything played out for the Dodgers at the dish. I’ll be honest: I didn’t love the move. I understood the need to pinch-hit for Jansen with runners and second and third and just one out in the top of the ninth. The ability to potentially tack on some insurance runs there was too good to pass up. My issue was with Kershaw being the guy instead of someone like Pedro Baez. Baez had thrown 6.2 innings, allowed just two hits while striking out 10, so I assumed he’d be tasked with at least three outs in a game where the bullpen was asked to get four-plus innings. Apparently that was never in the plans, however (Baez never even warmed up in the game), as Roberts went with Kershaw instead. And, well, he was dominant — three up, three down, two strikeouts. As long as Kershaw is ready to go in Game 1 of the World Series, we’ll all forget about this decision (and that appears likely given what his tune-up routine would have been). The Dodgers needed this one and they sent their ace out there to ensure they got it, and, well? Once again: Mission accomplished.